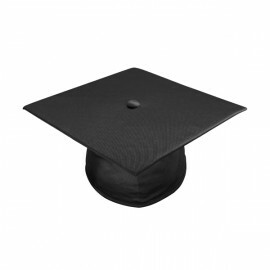 Gradshop offers the classic Master's academic caps in various ways to ensure we accommodate your graduation requirements. Made of best quality tricot fabric the master's caps are offered in Shiny Black finish, Matt finish, Eco-friendly black and green variety. All academic motor board caps include durable elastic at head rim for a fitted comfortable fit. The cap motor-board measures 9.4"sq and has a raised button to secure the tassel when assembled. We suggest you view our full range of master's degree cap, gown, tassel and the master's degree garduation hood. 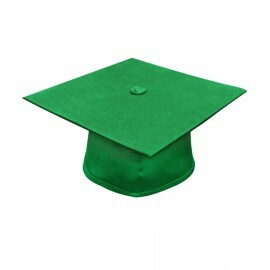 also available are the academic cap tassels to customize your master's graduation cap offered in a wide variety of colors. All master's academic regalia is available at discount prices and great selection of delivery options.